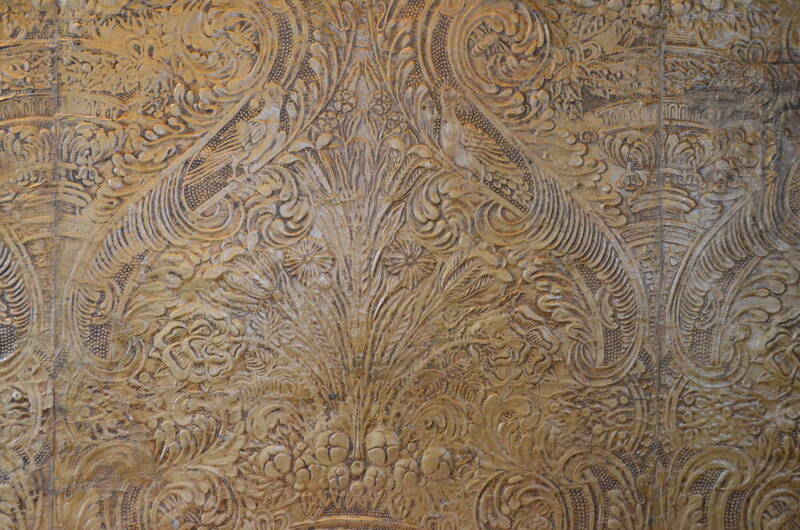 Embossed wall covering. Room to the right of main entrance of the Athenæum Club. Architect: Decimus Burton. Waterloo Place and Pall Mall.